I have to go out for a few hours, can't wait to see if there are more!! 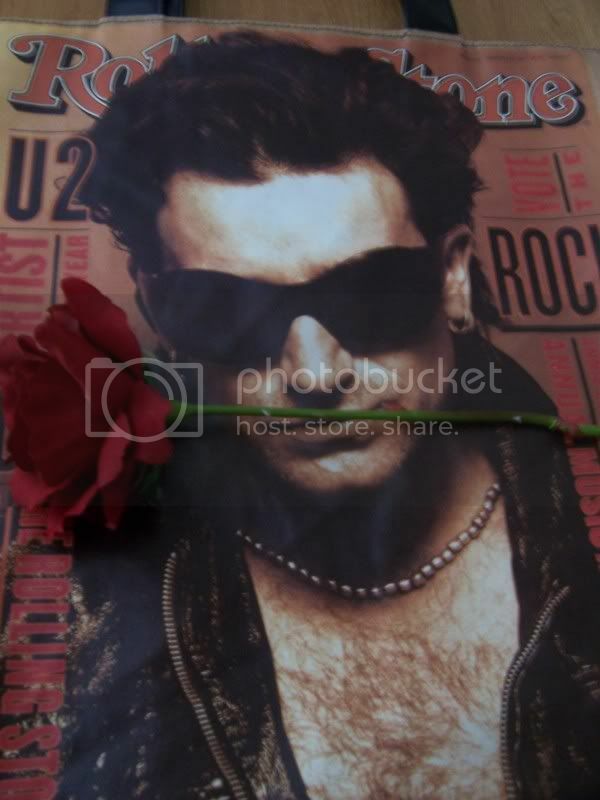 I have a framed U2 poster just to the side of my bed. 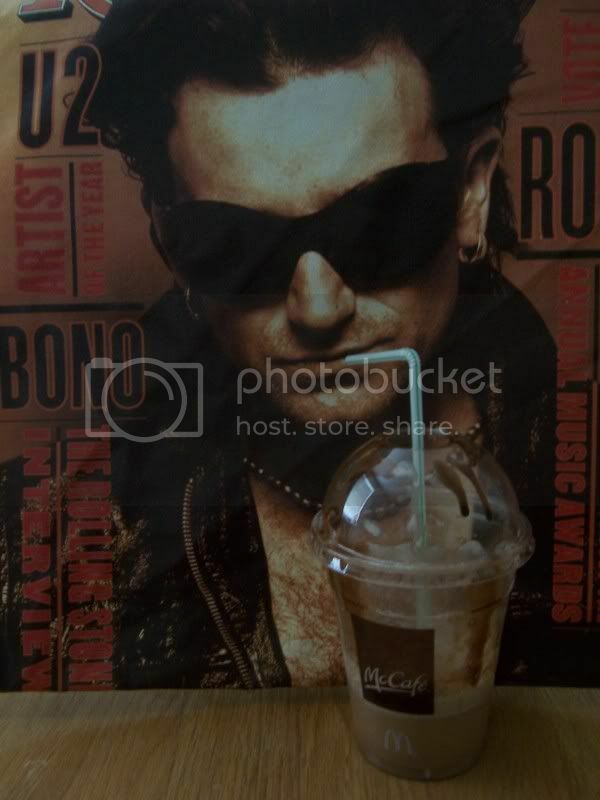 The other day my boyfriend and I took a nap and when we woke up he said "Shhh, I don't know if you realized this but Bono and the boys are watching us". I couldn't stop laughing. (I've had the poster up for a few months, he just noticed it, some men!!!). Can't wait for it!! I have some wicked ideas of my own, but not gonna do it, lol. Oh...........Claire, you've been reading my thoughts!! Hope you like em! I think it's best if you don't use a flash. Because of the vinyl?? 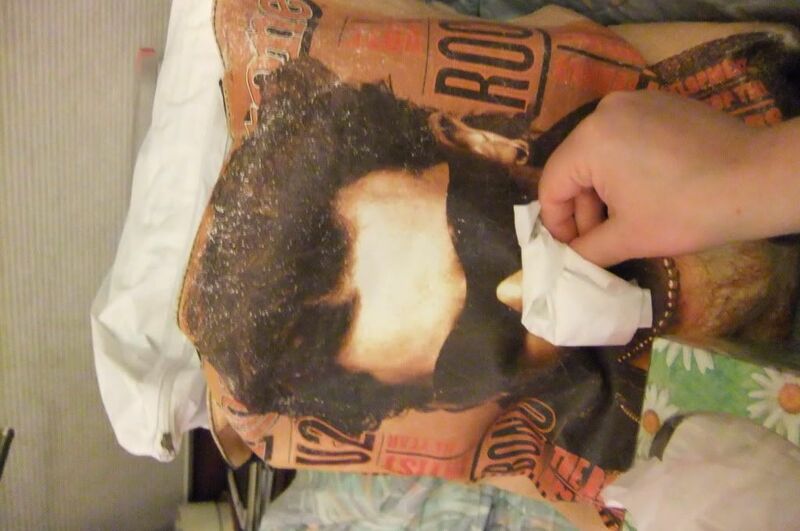 coating on the bag. I'll post more later! Brilliant! Absolutely Brilliant! 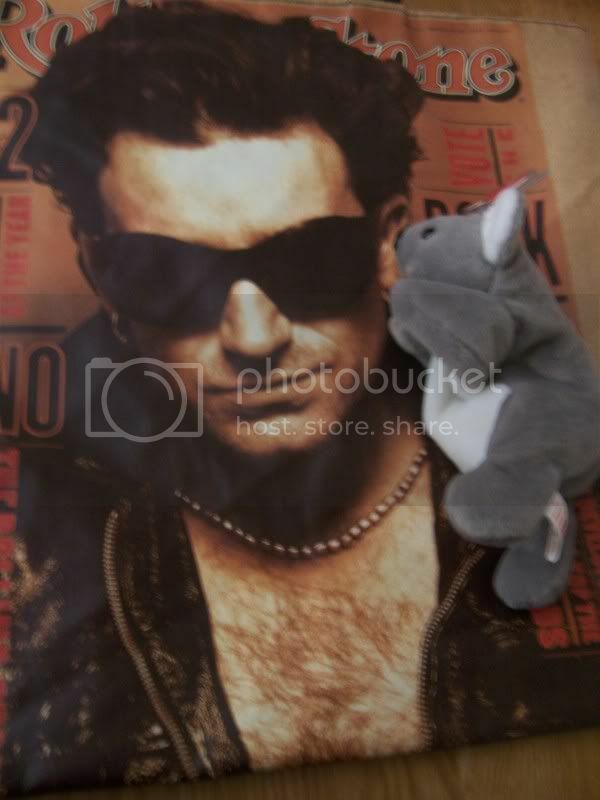 I have that bag, I will do a photo soon. Loved them LAWoman!! I think you're right about not using the flash. 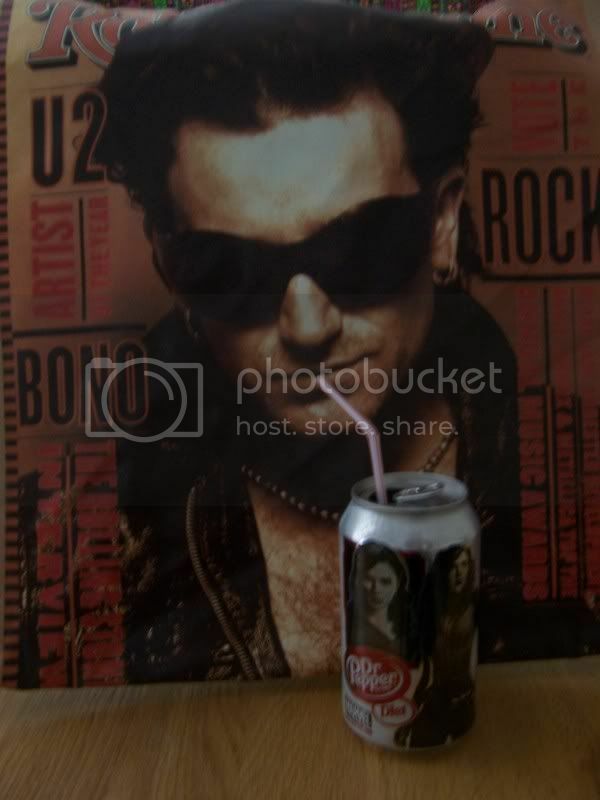 We should send these pix to Bono to cheer him up as he recuperates except it would make him laugh and that might hurt. I have two extra bags that I would be willing to part with for any of you fans across the pond. PM me if you want to do a deal. That's sweet of you. Yanno, last time I was at Walmart..I saw around 4 or 5 still on the rack! 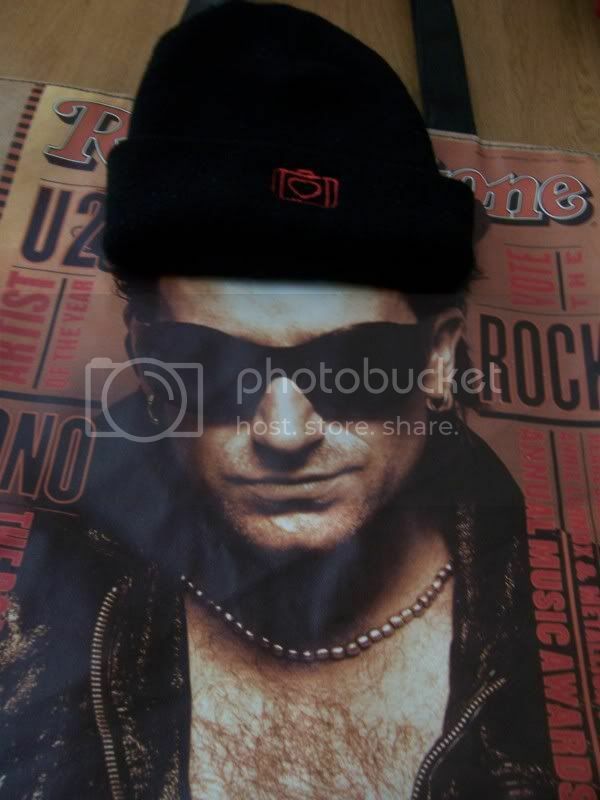 However, I never did find the WAR T-shirts. I keep looking though. 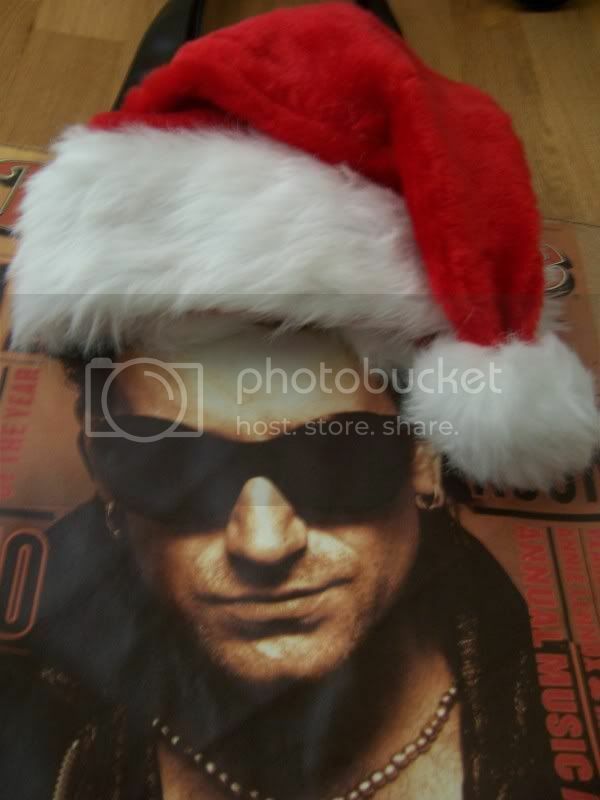 I couldn't wait to get home tonight to see if there were more pics of Bono, lol. I live in Canada and we don't have the bags at Walmart here. 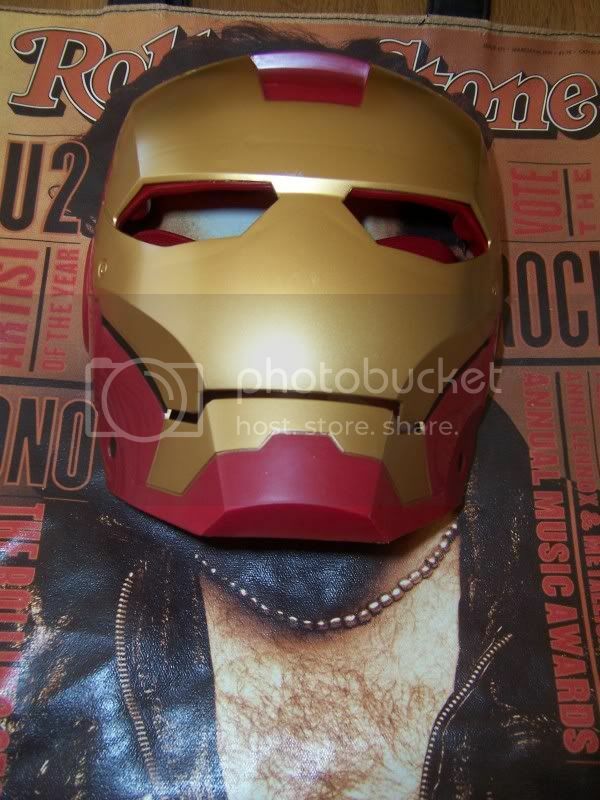 I checked on EBAY and they are quite expensive. So if anyone in the States could purchase one, let me know the cost and approximate mailing costs, etc, I will send you a money order ASAP. Thanks so much, pm me. Waiting for more pics, woooo hooo!! !